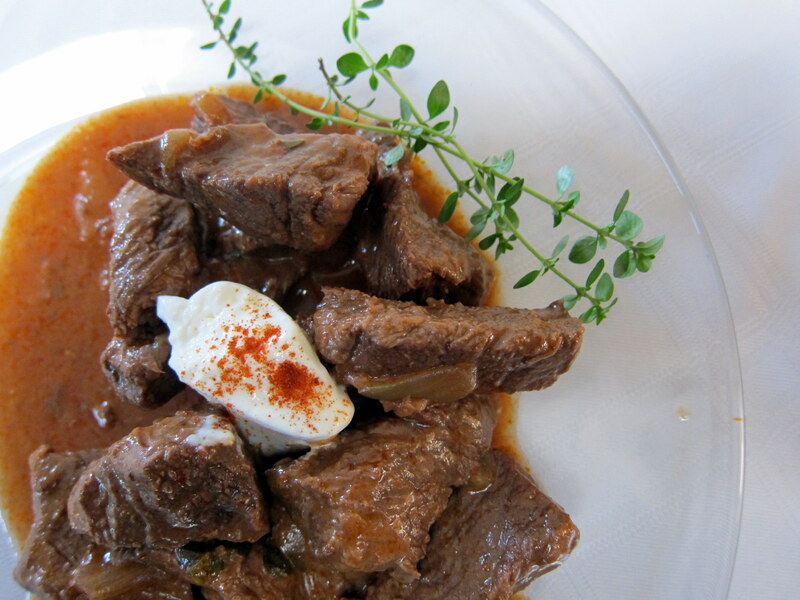 How I wish I had written down my Hungarian grandmother’s recipe for goulash! This is as close as I can come to duplicating it. She was a superb cook and most likely cooked without a recipe. I remember going to a wonderful store called “Paprika Weiss” on New York’s Upper East Side. 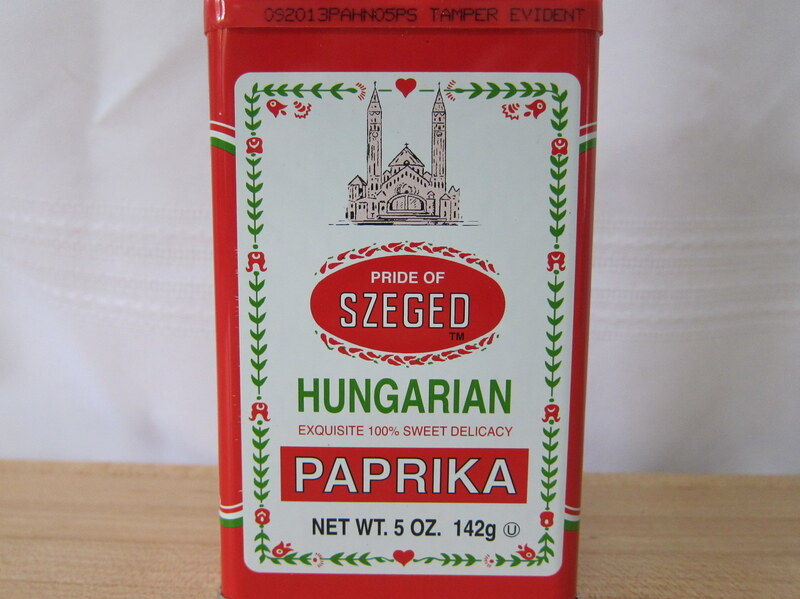 She bought her freshly ground sweet paprika there, and, boy, did it smell terrific inside the shop! When I moved to San Diego, years later, she mailed their round cardboard cartons of paprika to me. These days both Grandma and her store are long gone, but her granddaughter remembers and cooks “with her heart”. 2. Sauté onions until soft, then add garlic and cook for one minute or so. Stir in paprika and cook for another minute or so. 3. Coat the meat with seasoned flour and add to onions until meat is lightly browned. Add the thyme, stock, wine and tomatoes. 4. Cook in the oven for about two hours, until meat is tender. 5. Add the sour cream just before serving. Serve with egg noodles or spaetzle. NOTE: This dish is better reheated. Glad to read Larry is home, drop by if you get out and about today. I’d love to see those necklaces – thanks for the invite! Yum! I love Hungarian Goulash…it’s one of my favorite dishes. This is one of my favorite winter stews. Perfect timing – snow is forecast in SF this week! This sounds seriously delicious…it’s for dinner tonight.